Knife Rights’ bipartisan Texas Knife Law Reform Bill, HB 1935, to repeal all “illegal knives” in Texas statute, passed a critical milestone in the Texas House of Representatives in an unrecorded “Second Reading” vote today. With the tragic stabbing at the University of Texas, right in the state capital of Austin, and still fresh in everyone’s minds, the timing could not have been worse. Knife Rights Director of Legislative Affairs, Todd Rathner, has been in Austin for a week working to salvage the bill and ensure that any bill that emerged would still be an advance for Texas knife owners. In the end, the bill was amended from its original form that eliminated entirely all the “illegal knives” in state statute. HB 1935, as amended, now eliminates daggers, dirks, stilettos, poniards, swords, spears and most notably, Bowie knives, completely from the statute, effectively allowing them to be carried anywhere in the state. However, in order to get the bill moved, the amendment stipulates that knives with blades over 5 1/2 inches are now defined as “location restricted” knives. These knives may be carried all over the state except in a narrow list of places such as schools, colleges, correctional facilities, houses of worship, and bars that derive more than 51% of their income from alcohol sales. This is an unfortunate amendment, but the alternative would have been to watch the bill die and throw years of work in Texas down the drain. Plus, then we’d have to wait another two years for the next session of the Texas legislature, and who knows what might happen between now and then? This bill’s passage would still be a huge win for knife owners in Texas and given the tragic circumstances, Todd’s done an incredible job not just saving the legislation, but ending up with 95% of what we wanted. If we get this bill passed, we will be back in two years and again try to finish the job in Texas. The floor vote in the House should take place in the next few days and Todd can finally go home. We like to express our appreciation to our House sponsors, Primary Author, Rep. Frullo, Joint Authors, Reps. Dutton, Kuempel, Moody and Springer and Coauthors, Reps. Canales and Lambert for standing firm in challenging circumstances. This is a perfect example of why your support is so important. Otherwise, Todd could not have spent the last week in Austin and this bill would have died. It’s that simple. Your support is critical! Help Knife Rights continue to forge A Sharper Future™ by making a donation in the Ultimate Steel™ and you could WIN YOUR CHOICE from OVER $200,000 in Knives, Guns and More! 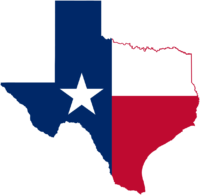 Knife Rights’ Texas Knife Law Reform Bill, HB 1935, that would repeal the ban on all “illegal knives” in Texas statutes, has been introduced by Representative John Frullo. HB 1935 would complete Knife Rights’ efforts to bring knife freedom to Texas by removing entirely the definition of “illegal knife” in Section 46.01(6) of the Penal Code. This includes the prohibition on double edge blades, Bowie knives and the 5.5-inch carry limit. Rep. Frullo was honored with Knife Rights’ Freedom’s Edge Award for his role as sponsor of Knife Rights’ Texas Knife Law Preemption Bill that was enacted into law in 2015. Knife Rights’ Texas Switchblade Ban Repeal Bill was enacted in 2013, sponsored by Rep. Harold Dutton. Knife Rights is rewriting knife law in America™. Knife Rights passed the nation’s first repeal of a switchblade (automatic) knife ban in 2010 in New Hampshire and has since passed repeal of switchblade bans and repealed other knife restrictions in Alaska, Indiana, Kansas, Maine, Missouri, Nevada, Oklahoma, Tennessee, Texas, Washington and Wisconsin.